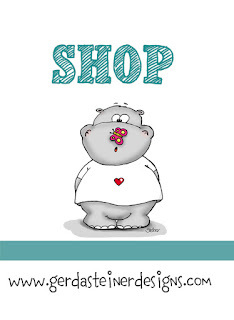 Its Hazel (Didos) here with another cute card made using the Oh Manatee Stamp Set. Todays card has incorporated 2 of the cute Manatee, the Seaweed, bubbles, mug and 2 of the sentiments from the set. I thought it would be good with the play on words with the Tea or Coffee both in the card. My card has been coloured with promarkers and the sea was done using distress inks. Guest Designer - Creating a Scene (Video)!